Provide comfort for the family of Catherine Simpson with a meaningful gesture of sympathy. 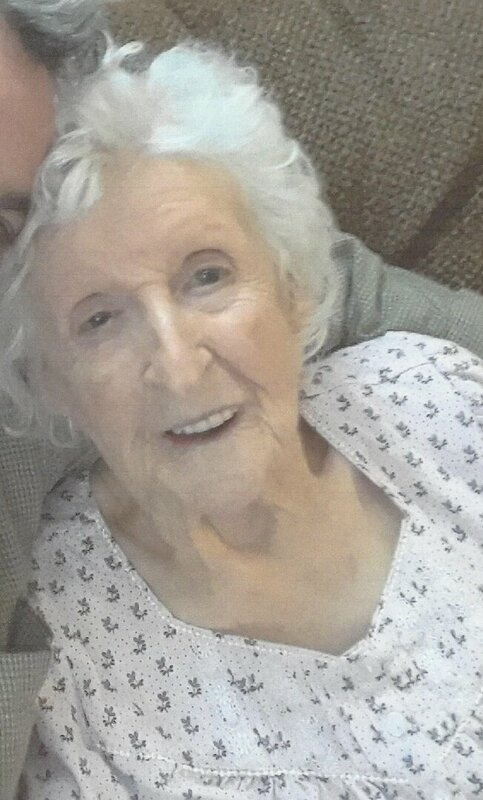 Simpson, Catherine Louise, of Pleasantville, passed away peacefully at Villa Raffaella (Assistant Living) on April 11, 2019. She is now in heaven with her loving husband, Bill Simpson. She was born on October 20, 1918 in Maple Shade, NJ to Frank and Elizabeth Lodge. She was the youngest of five children, all of whom preceded her in death: her brother, Frank; and her sisters, Margaret, Elizabeth, and Ruth. She was also preceded in death by her daughter, Naomi Ashton (Joe). She is survived by four grandchildren: Jake Musterel, Catherine Antorino (Daryl), Frank Musterel (Jackie), and Bonnie Johnson (Lew); eight great grandchildren; and two great great grandchildren. She graduated from Moorestown High School. After graduating she tried her hand as a seamstress, hostess/cashier at Hackney's in AC, and Zaberer's in McKee City. Throughout the years Catherine and her husband made a business buying and selling motels, four in NJ and four in Florida. They really loved the motel life and after many years they decided to retire and enjoy their golden years. They settled in Somers Point. After the loss of her husband, Bill she moved to EHT to be closer to her daughter. Eventually she needed more help than the family could safely provide. She spent the last two years at Villa Raffaella where she celebrated her 100th birthday. She truly enjoyed herself dancing with family and friends. She loved going to church, singing, dancing, and enjoyed watching the birds. She will be greatly missed by her family and anyone who knew her. Family will hold a private service. She will be laid to rest at Colestown Cemetery. In lieu of flowers, the family would appreciate any donations to go to Villa Raffaella, 917 S. Main Street, Pleasantville, NJ 08232.